A felony conviction can have serious and long lasting consequences. First and foremost, a conviction of a felony can result in jail time in the State Penitentiary, large fines, court costs, restitution and supervised probation. Certain felony convictions result in the loss of a person's right to vote and hold a professional license or be bonded. Furthermore, conviction of a felony means a person may never possess a gun. Many employers will also refuse to hire a person who has a felony conviction. Presently, there is only one expungement law that allows the conviction to be removed from a person's record, and that law applies to possession of controlled substances. Otherwise, the felony conviction can literally haunt and follow an individual for the remainder of their life. If an citizen pleads guilty then he must face the consequences of the guilty plea as bargained for with the prosecutor, or the accused could enter what is known as an Open Plea, and ask the Court to impose a lenient sentence. If the accused goes to trial and is found "not guilty", then the case is over. The Fifth Amendment of the Federal Constitution protects the accused for ever being tried for the charged crime by the same Governmental entity. If an accused is found guilty, then he/she will have the right to appeal to a higher court. The appeal is based solely on the record from the trial court. If you are unfortunate enough to be charged with a crime you should remember that it could affect your freedom, career, relationships and entire future. Choosing a lawyer to defend you may be the single most important thing you do in your life. You need a criminal defense lawyer who is experienced and stays current in the law. Our criminal defense attorneys have handled some of the most difficult cases in Mississippi. We have handled more then a dozen Capital murder cases, countless murder, robbery, theft, drug and other assorted cases. We are not part-time criminal defense lawyers. In addition to felonies, we actively defend misdemeanor charges because we recognize that for most people a misdemeanor will be the most serious crime that may happen to them or a loved one, and the repercussions can be as harmful as a felony. Our reputation among lawyers and our satisfied clients is solid and we welcome any inquires into the quality of our legal services. 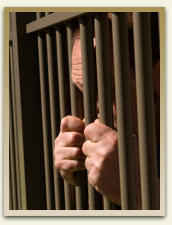 Contact Coxwell & Associates criminal defense attorneys today for a complimentary conviction of a felony consultation.